WAEC Result upgrading is a pure scam! 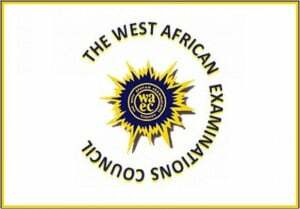 Following the release of the 2018/2019 WAEC May/June result, candidates have been requesting for ways to upgrade their WAEC results due to their poor performance in the exam. Those are some of the formats scammers use to illegally syphon money from desperate students searching for means of upgrading. There is nothing like upgrading of results. These guys are every where, you see them on big forums, wapka sites, weblogs, Social networking sites and the rest. Don’t pay anyone to upgrade your result. If after reading this piece and you still get scammed, it’s your fault! Someone need this. Click on the share button below to keep others informed. please i need help i have d7 in literature,c4 in english and e8 maths .what can i do with these waec results?and also five credits. Comment Text*The Failure of 2018/2019 waec is this due to poor performance of student or due to poor marking?. Comment Text*pls my waec result is commerce f9 accounting c6 c rs ç6 economics e8 civic c5 English c6 math d7 computer b3 and I want to study accounting which university can take DAT result help me find out.